I love oatmeal! Oatmeal was my saving grace when I was growing up because it was cheap and I was always hungry. I have brought it into my adult life tri-fold with my eating it (helps to lower cholesterol), using it in my smoothies for texture and for my hair. Even though I use them differently, it yields all the same wonderful results that do not get mentioned enough for the massive benefits. Well, apparently Tina.Trapp already knows this but needed some application guidance when she asked about it in the Curly Q&A section. How exactly do I put oatmeal in my hair? Do I mix with hot water or anything, and just rub all around? Oatmeal is wonderful for our hair for several reasons, and while you can benefit by just eating it, using it in your hair gives immediate results. There are two popular recipes for hair masks with oatmeal as the primary ingredient but first, let’s discuss the many reasons why we love oatmeal for our strands. Oatmeal has vitamin B and can penetrate the hair shaft, which allows our hair to retain moisture by acting like a humectant and the polysaccharides help in softening the hair. That same polysaccharides or glucan adds slip and as long as you keep it in (like a hair mask) your hair feels soft the entire time. Oatmeal allows hair to become more elastic and that makes it stronger and less prone to breakage. This in turn can lead to length retention as stronger hair hangs around a lot longer. Have you ever had the chicken pox? I did at the tender age of 31…no, it was not pretty but you remember how we used oatmeal in the bath to help soothe the itching? Well, that goes for your scalp too. 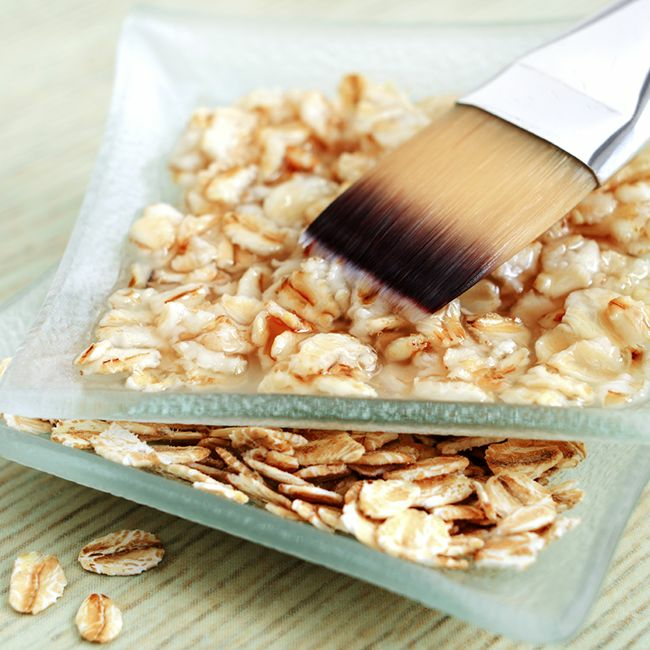 An oatmeal scalp treatment will help with dry and irritated scalps naturally. Oatmeal is so cheap it is ridiculous and you cannot ask for a cheaper way to soften, moisturize, and strengthen your strands. Now that we’ve shown you why you need to be using it, here are two super simple recipes that will help in harness the benefits of oatmeal. Mix ingredients well. Make sure hair is completely detangled before applying to hair from root to tip. Leave the mask in hair for 15- 20 min. You can cover with plastic cap too. Shampoo hair and style as usual.